Russia and India have not only long-standing close relations in the military sphere, but also big plans for further cooperation. No wonder Russia and its weapons are waiting on one of the largest international exhibitions of arms Defexpo India - 2016 to be held in the Indian state of South Goa from 28 to 31 March. Plans for the military and military-technical cooperation between the two countries and confirmed the recent conversation Sergei Shoigu, Minister of Defense of Russia with his Indian counterpart Manohar Parrikarom. 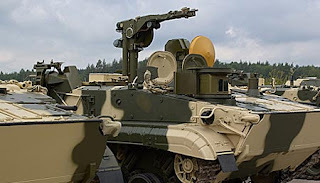 Ministry of Defense conversation item is not reported, however, it can be assumed that the parties touched upon the topic of the upcoming exhibition of arms in India, where Russia will present more than 800 kinds of items. Defexpo India International Trade Fair is held under the auspices of the Ministry of Defence of India and the Confederation of Indian Industry to once every two years, for the period from 1999, it became one of the most important international exhibitions of the defense industry. In addition to showing Russian weapons, the exhibition will be held a series of talks with foreign customers. Defexpo India - 2016 is an important event for the Indian defense industry. For example, the company "Tehmash" plans to discuss with the Defense Ministry of India issues of joint development and organization in the country of production of ammunition caliber of 23 millimeters to 155 millimeters. This is confirmed by the Government of India passed the course «Make in India», which is aimed at the localization of production in the country and involves the creation of joint ventures and localization technologies. "India has over the years is our strategic partner. Today we are working on the expansion of cooperation in various fields in accordance with the vector - the traditional sphere of military-technical cooperation up civilian areas: electronics, biotechnology and composite materials ", - said General Director Sergei Chemezov Rostec. Russian developer and manufacturer of air defense systems - concern aerospace defense "Almaz-Antey" will present leading-edge products, including anti-aircraft missile system S-400 missiles "Caliber-PLE" (91RE1), "Caliber-NCE" (91RE2 ). Developed in OAO "OKB" Innovator "in Yekaterinburg 91RE1 missile enters the integrated missile complex" Caliber-PLE "for arming submarines (export designation« Club-S »), 91RE2 rocket - an integrated missile complex" Caliber-NCE "for weapons surface ships (export designation Club-N). Complex "Caliber-PLE" and "Caliber-NCE" designed to destroy land, sea surface and underwater targets under intense fire and electronic countermeasures enemy. They can affect the current and future submarines underwater, periscope and surfaced in all areas of the oceans, including in areas with shallow depths. 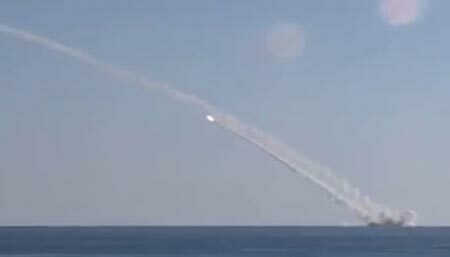 The effectiveness of these missiles "Movement" system has already seen the world during Russian operations in Syria. However, the range of the missiles "Caliber-PLE" and "Caliber-NCE" system - 200-300 kilometers and complies with the international agreement on arms exports. Nevertheless, even with such a missile range, placed in transport containers in the civil courts, they can be used as a weapon of retaliation by those countries that can not openly oppose the US. India, by the way, was one of the first countries that purchased these complexes. In particular, they are equipped with a built in Russia for the Indian Navy diesel submarine Project 877 EKM. The "Almaz-Antey" the press service reported that the company at the exhibition plans to hold talks with foreign customers. Perspective can be, and negotiations on the complex "Triumph", "Tor-M2E (K / CM)." Last - anti-aircraft missile system designed to destroy aircraft, helicopters, unmanned aerial vehicles aerodynamics, guided missiles and other elements of high-precision weapons, flying at medium, low and very low altitudes in a complex air and noise conditions. Holding "Precision Systems", included in Rostec, will present models of "Iskander-E", "Chrysanthemum-S", which have no analogues in the world. Any armor remains defenseless against the "Chrysanthemum-S" complex. High penetration power and the ability to see the target in any environment make this complex popular with foreign customers. Family complexes "Iskander", in turn, has another advantage. 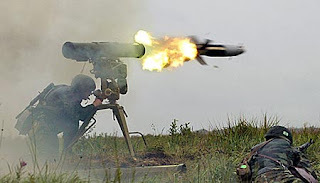 It can effectively engage in the depths of enemy territory multiple launch rocket systems, long-range artillery, anti-missile and anti-aircraft defense, planes and helicopters airfields, command posts and communications centers, as well as the most important civilian infrastructure. In addition, it will present a series of portable missile systems on display. One of them, "Kornet-E" is designed to defeat tanks and other armored targets, including those equipped with modern dynamic protection. The exhibition will show Russia and means of destruction of aircraft. In particular, the newest portable air defense systems "Verba". It is designed to engage low-flying air targets on a collision course and will catch up under the impact of false thermal noise. With a high probability of striking low-radiation targets - cruise missiles and UAVs. It is worth noting that the complex includes an automated control system (ACS), which produces the detection of air targets, including the group, the determination of their flight parameters, as well as the distribution of anti-aircraft gunners found between the goals, taking into account their location. 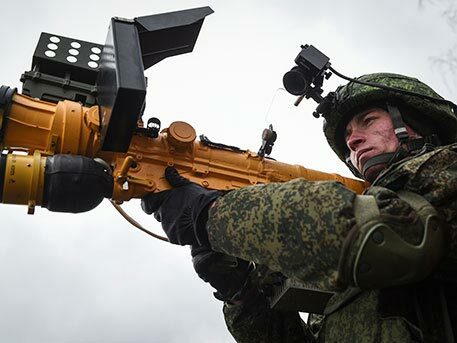 According to the designer general of the Scientific and Production Corporation "Machine-Building Design Bureau" (JSC "SPC" MSC "), Valery Kashin, jointly MANPADS" Verba "performance surpasses all the world analogues. The complex at times improved thermal characteristics to overcome the traps, increased shooting accuracy, optimized for a variety of indicators. In addition, the holding company will showcase at the exhibition layout antiaircraft "Sosna-R" guided missile, the automated complex "Pine" and sea-aided anti-aircraft artillery complex "Palma" with anti-aircraft "Sosna-R" guided missile. Since India operates several types of Russian aircraft, for it is a topical issue of modernization of aircraft and engine production for her. To this end, United Engine Corporation will present models of the most advanced production engine for military aircraft (including Su-35) AL-41F-1S. In addition, the exhibition JDC plans to address the theme of aircraft engines (AL-31FP, AL-41F-1S, RD-33MK, the AL-55I), helicopters (VK-2500, TV3-117) and ships (M-70FRU) . In turn, the holding company "Russian Helicopters" will present the latest Mi-38 and Ka-226T, and will hold talks with India's leading aircraft manufacturer Hindustan Aeronautics Limited, an Indian shipping company Pawan Hans Limited, which operates the Mi-172 helicopters, and other organizations. For Pawan Hans Limited planned to hold the presentation of the Mi-38 and Mi-171A2. United Shipbuilding Corporation will also participate in Defexpo India - 2016 and provide surface ships and submarines of various classes of non-nuclear. As noted in the press-service of the company, number of vehicles exhibited projects already successfully manifest itself in actual combat conditions in the Russian Navy. Attention of specialists, experts and visitors can attract companies presented projects the corporation: non-nuclear submarine "Amur-1650" with airindependent power plant; large diesel-electric submarine of project 636; 11711E large landing ship of the project; multipurpose frigates of the project 22356; patrol ship project 22500; rescue vessel to rescue the crews of submarines in distress project 21301; anti-mine ship Project 12701 "Alexander-E"; raid trawlers 10750E Project; small submarines "Piranha" and "Piranha-T"; patrol boat project 22160. The exhibition will feature products from leading Russian shipyards: "Sevmash", "Admiralty Shipyards", "Baltic Plant - Shipbuilding", "Severnaya Verf" Shipyard "Yantar" CA "Zvezdochka" SNSZ and Proletarian plant, as well as design Office: CDB ME "Rubin" SPMBM "Malachite", Northern PKB, Zelenodolsk Design Bureau, Neva PKB and CMDB "Almaz". It should be noted that some types of warships may start producing in India. So, Rosoboronexport is negotiating with India on the organization of production frigates of Project 11356 in the country, said Deputy General Director Sergey Goreslavskii special exporter. "Today, we are in talks about a possible construction of submarines of Project 75 (and) on the basis of the latest diesel-electric submarines of" Amur-1650 ", also discuss prospects for the purchase of an additional batch of frigates of Project 11356 and the organization of their licensed production in India" - quoted Goreslavskaya TASS . Frigates Project 11356 have a displacement of 4000 tons, speed - 30 knots, cruising - 30 days. The ships are armed with missile complex "Caliber-NK" cruise missile with a high-precision, multi SAM "Calm 1" SPAR "Broadsword." Photo: Alexey Ivanov / TRC "Star" Konstantin Semenov / TRK "Star", the Ministry of Defense of the Russian Federation, "Russian Helicopters"